Travel Movers. At the opening of the Cebu Travel Catalogue International 2019 at Ayala Center Cebu, from left, Aida Uy of Cebu Fortune Travel, Fairlie Uy of Royal Prince, Pan Pacific’s Gwen Po, Department of Tourism 7 regional director Shahlimar Tamano, Lapu-Lapu City Mayor Paz Radaza, Delmar Travel’s Marilou Ordoñez, Resorts World president/chief executive officer Kingson Sian, CTTA president Angelita Dy of Grand Hope Travel, Marget Villarica of Destination Specialists, PAL executives—senior assistant vice president-sales Harry Inoferio, Visayas area head Reyani Romano and vice president-Sales Ryan Uy, and Alan Carvajal of Travelways. RWM Marketing Team. 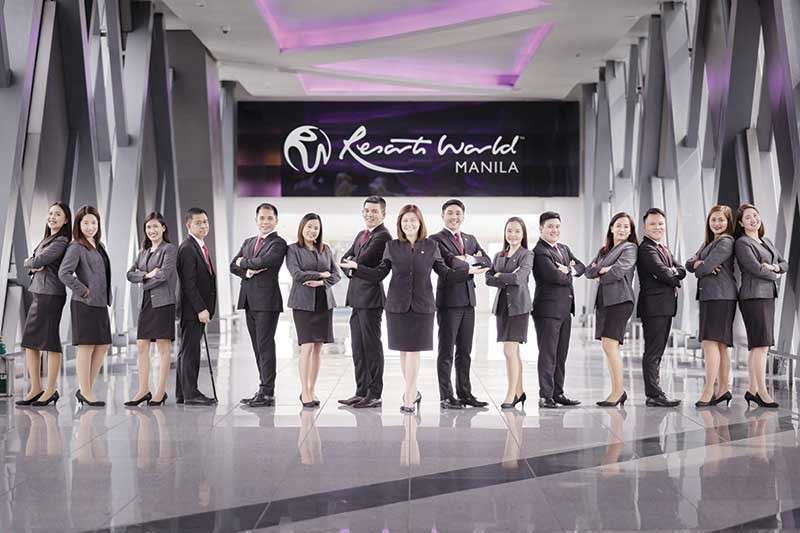 The hardworking marketing team of Resorts World Manila led by Kathy Mercado, senior director for sales and marketing (center). Travel Friends. During the dinner at Lemon Grass hosted by GTMC Travel Group founder Samson Tan (second from left), clockwise, Alan Carvajal of Travelways, Samson T, Baby Dy of Grand Hope Travel, Flaneur Travel’s Susana San Ramon, Grand Holiday’s Cherrypie Callelero, SilkAir general manager Jake Jeow, Global Premium Hotels Ltd. vice president business development Wong Wei Shein and assistant sales manager Teo Wen Ying, and Ann Momongan of Flaneur Travel. 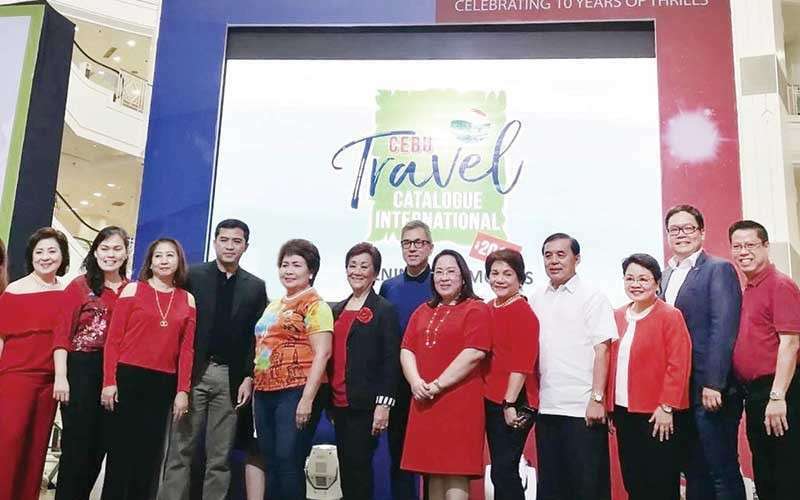 THE Cebu Travel Catalogue International 2019 at Ayala Center Cebu was one big success, thanks to the hard work of the officers and members of the Cebu Tours and Travel Association (CTTA) and the Cebu Association of Tour Operators Specialists (Catos); and the full cooperation of industry and airline partners. Among the special guests on opening day were Lapu-Lapu City Mayor Paz Radaza; Department of Tourism 7 regional director Shahlimar Tamano; Kingson Sian, president/chief executive officer of Resorts World Manila; and Philippine Airlines (PAL) vice president-Sales Ryan Uy. Kudos to CTTA president Angelita “Baby” Dy and Catos president Alice Queblatin who were on top of the three-day event. No less than Department of Foreign Affairs (DFA) Secretary Teodoro Locsin Jr. came over for the launch of Passport on Wheels at SM Seaside City Cebu. It was a very welcome development for new passport applicants as well as those who had to renew their passports. Sec. Locsin also disclosed that he plans to expand the DFA office in Cebu so that it can serve passport applicants more efficiently. 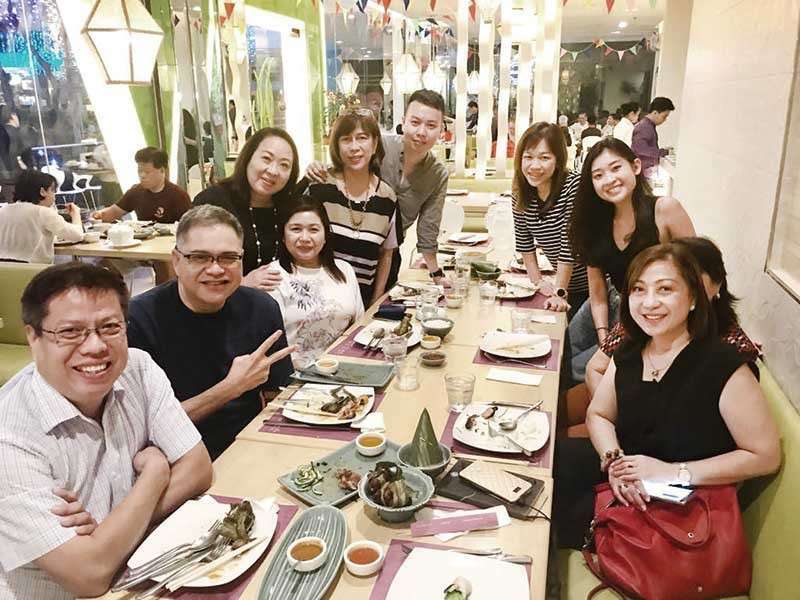 When the Singapore-based Samson Tan, founder of the GTMC Travel Group (a network of Inbound Tour Operations in Asia) came to town, he gathered friends from the travel industry for dinner at Lemon Grass. With him were Global Premium Hotels Ltd., vice president for business development Wong Wei Shein and assistant sales manager Teo Wen Ying, who came from the Lion City to participate in the roadshow of the Singapore Tourism Board. Summer is fast approaching, and going places is the order of the season. It was therefore timely for Teresita Henderson, chairperson of Intas Destinations, to come to our Queen City and update the Cebu travel agents of the river cruises of AmaWaterways for 2019 as well as the Intas 2019 Holyland and Marian Pilgrimages. With help from good friend Honey Loop, Tess held court at Casino Español de Cebu and presented the 2019 travel products. Very much the “in” option for travelers nowadays is a river cruise. No need to worry about big waves, nor long sea voyages. The river cruise is perfect for relaxing, enjoying panoramic views of little villages by the riverside, castles on hills, wooded valleys and more. There are options galore on AmaWaterways... call your favorite travel agent for more info. By the way, the latest addition to the AmaWaterways ships is the AmaMagna, the biggest in the fleet and the most modern. There is the all-suite Maxim’s Hotel for the luxury sector as well as the five-star standards of Marriott Hotel Manila, Hilton Manila, and the soon-to-be completed Sheraton Manila Hotel and Hotel Okura Manila. I stayed at Hilton Manila a few weeks back and was delighted with the spacious room and bathroom. What’s more, my room overlooked the beautifully designed swimming pool. For RWM’s lineup of practical hotel accommodations, the choices include the Belmont Hotel (owned by Megaworld Corp.), recently named the Best Airport Hotel by the Travel and Hospitality Awards; the newly-opened 684-room Savoy Hotel Manila; and the Holiday Inn Express of the InterContinental Hotels Group. With 737 rooms, it is the largest Holiday Inn Express property in Southeast Asia. Resorts World Manila is conveniently located across the Ninoy Aquino International Airport Terminal 3.